Reliable and large-scale production of high-quality stem cells will be vital if they are to achieve what many believe is their full potential in a wide range of medical therapies. A University of Huddersfield scientist is conducting research that aims to ensure this. Dr Haydn Martin Dr Haydn Martin is a metrologist who is investigating the use of a specially-developed optical interferometer - a device that uses beams of light for ultra-precise measurement - in order to monitor the production of cells that are being grown in liquid on tiny polymer spheres. The use of spheres as micro-carriers in a bio-reactor - a large tank - means that there is vast increase in the number of surfaces on which the cells can grow. But it is vital to monitor their growth so that the yield and quality are maximised. Dr Martin's interferometer is inserted into the growth medium and takes images as the tank is stirred. 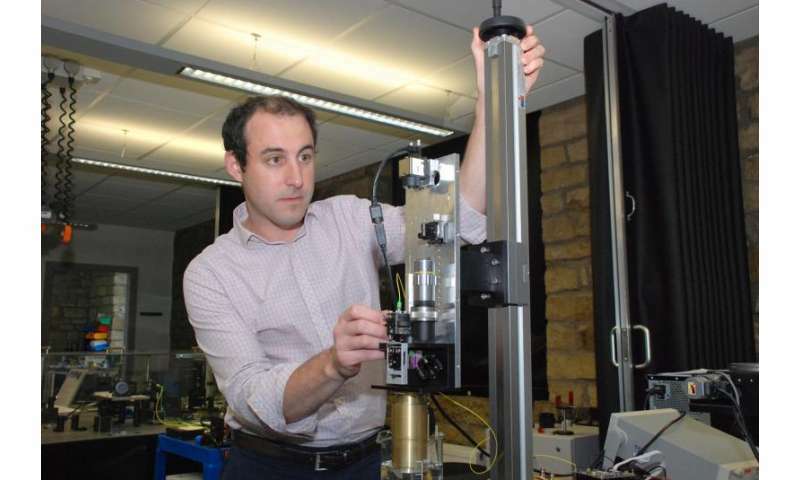 "It is in-situ interferometry," said Dr Martin, who is a Senior Research Fellow at the University of Huddersfield's EPSRC Centre for Innovative Manufacturing in Advanced Metrology, where he heads the optical instrumentation research group. "What we hope to be able to do is to monitor the confluence of the cells on the spheres - or how much of a sphere is covered by cells - because once it is covered, no more cells will grow on it." It might also be possible, he said, to use interferometry to monitor the morphology, or shape of the cells, which would be of great importance in ensuring their maximum yield and health. Dr Karen Coopman The project has received funding of £245,000 from the Engineering and Physical Sciences Research Council (EPSRC) and Dr Martin is collaborating with Dr Karen Coopman (pictured right) of the University of Loughborough's Centre for Biochemical Engineering. Both scientists are current members of the EPSRC's highly-selective Early Career Forum in Manufacturing Research, and this helped to create the collaboration in stem cell production. A first version of the interferometer has been tested at Loughborough. 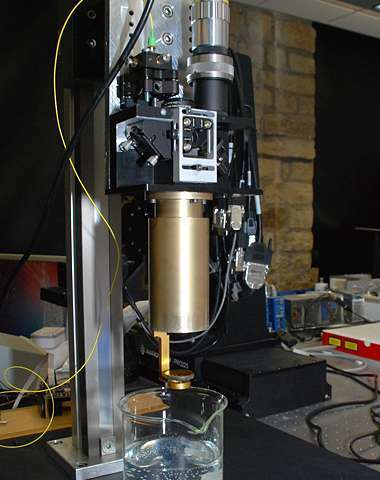 The next step is to return the device to Huddersfield, where a high-powered pulse laser will be fitted and experiments conducted in monitoring the cells as they are being stirred in the bio-reactor. "One of the challenges is to image the cells while they are moving," said Dr Martin. Results have so far been encouraging, he added. If stem cell treatments are to become more widely available, then large-scale production would be necessary and the ability to monitor and assess them would be of vital importance.